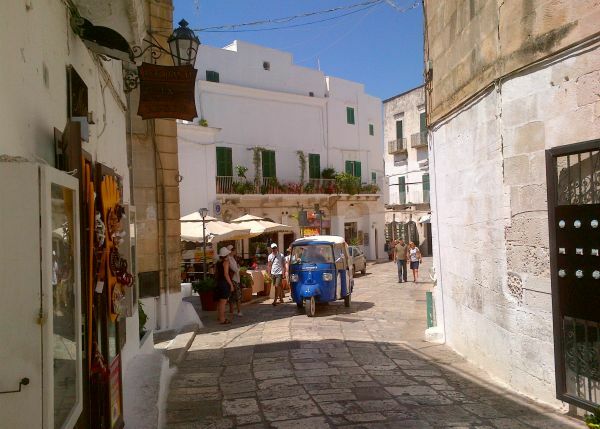 Marry in Ostuni, “the white queen of olive groves” and a perfect location for your lily-white marriage celebration. Ostuni displays its great beauty from the southern offshoots of the Murgia Highland and overlooks the Adriatic Sea, which is just 6 km away. The town is full of ancient settlements, archeological finds and marvelous churches. In Ostuni the landscape is dramatic and characterized by century-old olive groves, which cover the plains and rocky terraces. 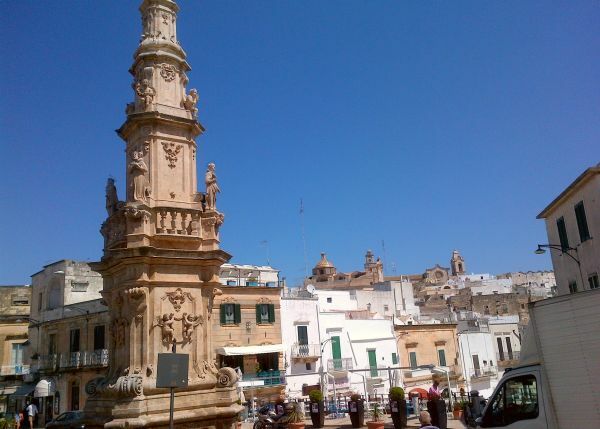 This is a town rich in historical stratifications, a perfect scenario in which to set your marriage celebration in Apulia. 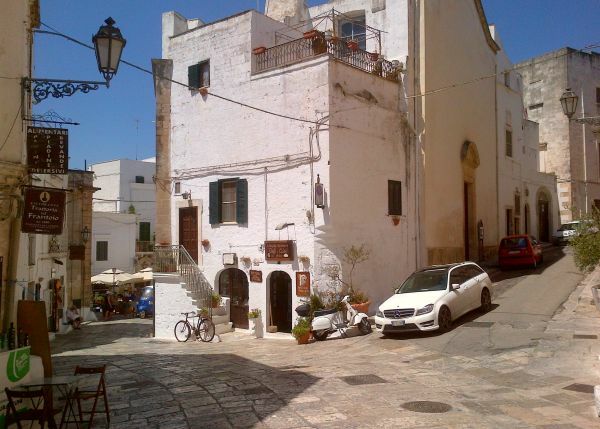 Ostuni is situated on three hills; on the highest you can admire the ancient quarter, a rare pearl, with its narrow streets and alleys intersecting each other and creating a magical labyrinth. The historical center consists of typical white houses. The narrow alleys and short flights of steps framed by arches and vaults, the typical small loggias and the white color of walls create a fairy-tale atmosphere that lend a timeless dimension. On top of the hill there is a majestic example of Roman-Gothic architecture: the Cathedral, the most important sacred building of Ostuni. 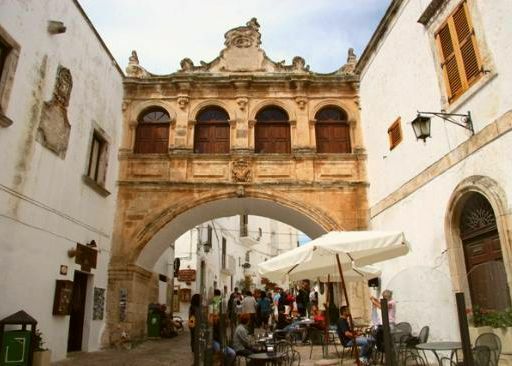 On the way through the historical center you can also see several period palaces with loggias, coat-of-arms and portals of great stylistic interest. The coast is surrounded by the Mediterranean scrub and is equipped with modern and diversified touristic resorts and facilities which will meet all your different requirements. For couples who prefer getting away from the crowd in order to regain tranquility, there are numerous paths to choose leading to secret sandy inlets, stretches of low strangely indented coast, enchanted coves immersed in complete silence, where you can spend some unforgettable and romantic moments. 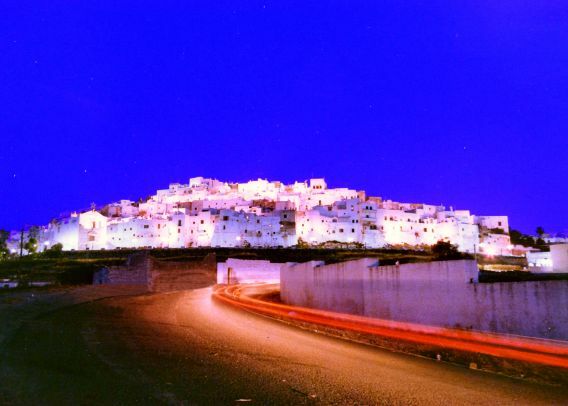 Take your chance to visit the famous Masserie (old rural farms) of Ostuni, which have become quite natural elements of the landscape. Usually you can find them among olive groves along the coast or on gentle slopes, and they are indeed numerous: more or less 300 farms. Masserie are a precious architectural heritage, but also the most significant witness of rural civilization. Visiting them means satisfying your interest for the past, for lost times, and immersing yourselves in the peaceful fields and discovering the bright colors, perfumes and the relaxing sounds of a rural world. The local cooking is based on typical agricultural products: virgin olive oil, vegetables, cheeses mainly made from sheep milk and superb seafood. It is a simple cooking, but rich in colors and above all flavors. It represents the simplicity of local people who have succeeded in making the most out of what the land offers. Get married in Ostuni and your wedding reception will become the source of many happy memories thanks to one of the best Italian cuisines, enriched with savory meat grills, local wines and liquors!